WASHINGTON HEIGHTS, Manhattan (WABC) -- A worker at a store in Manhattan was killed in a tragic freight elevator accident. 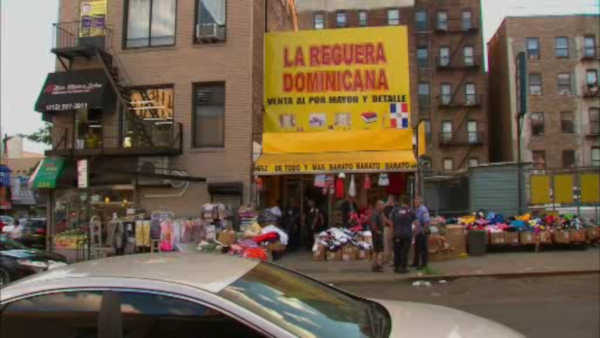 The accident happened Saturday evening at 'La Reguera Dominicana' on West 182nd Street in Washington Heights. Police say a 43-year-old man was loading merchandise into a freight elevator, when the elevator started to ascend, pinning him.